Overcoming the problem of ambient light. The special winged eyecups minimize the entry of distracting ambient light and allow accurate eyecup height adjustment. The result is perfect viewing comfort. 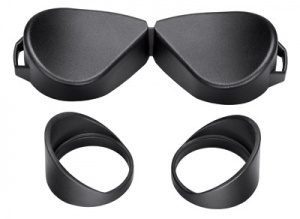 Made from a soft yet durable material, the set is suitable for all EL and SLC binoculars.